Mike McCarthy is the President of the Terminal Railroad Association of St. Louis. Mike began his career in 1979 with the Missouri Pacific Railroad in its Engineering Department and transitioned into Transportation Management in 1990. He has held various positions including Trainmaster, Director of Terminal Operations, Sr. Director of Dispatching, Superintendent and General Superintendent of Transportation. In 2003 he accepted the position of General Manager at The Alton and Southern Railroad until taking his current post. Mike holds a Bachelor of Science Degree in Industrial Technology from Truman State University and a Masters in Business Administration from Rockhurst College. Brad is the Director of Labor Relations for the Terminal Railroad Association of St. Louis and has been with the company since 2001. He has also held positions with the Terminal Railroad as Trainmaster, Assistant Superintendent, Director of Logistics, and Transportation Superintendent. 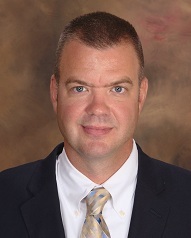 Brad started his railroad career in 1990 with the Norfolk Southern Railroad in St. Louis as a clerk. He also worked as a control operator and yardmaster before being promoted to trainmaster in 1998. 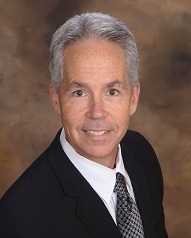 Brad holds a Bachelor of Science degree in Leadership and Change Management from Saint Louis University. 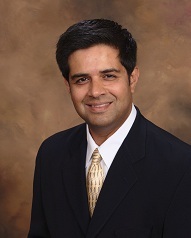 Asim joined the Terminal Railroad Association of St. Louis in 2011 and currently serves as the company’s Chief Legal Officer and Director of Corporate Affairs. In his role, Mr. Raza's responsibilities include overseeing all legal matters of the company and its various subsidiaries, serving as the company’s compliance officer, managing governmental affairs and overseeing the company’s business development and real estate matters. Mr. Raza earned his B.A./M.S. in Criminal Justice from The American University in Washington, D.C., his J.D. from DePaul University in Chicago, Illinois and his M.B.A. from Washington University in St. Louis, Missouri. Mr. Raza is the President of the Board of Directors for The Churchill Center & School and serves on the Board of Directors for both John Burroughs High School and the St. Louis Civic Pride Foundation. Eric is the Chief Engineer for the Terminal Railroad Association of St. Louis. Eric is a professional engineer with experience in bridge management systems and project management for large construction projects. 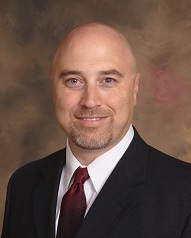 Prior to joining Terminal Railroad in 2013, Eric was a Senior Project Manager for the Bi-State Development Agency and managed projects on the Cross County Metrolink Extension through St. Louis County, the Eads Bridge Rehabilitation over the Mississippi River, and maintained 19th century tunnels and structures as part of the Metrolink alignment. 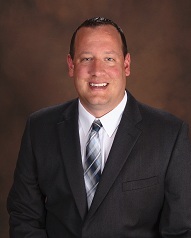 Eric has earned a Bachelor of Science in Civil Engineering from the University of Illinois, a Masters of Business Administration from Southern Illinois University at Edwardsville, and a law degree from Saint Louis University. Adam is the General Superintendent for the Terminal Railroad Association of St. Louis and has been with the company since 1999. He has also held positions of Conductor, Crest Operator, Dispatcher, Yardmaster, and is a licensed Engineer. As a company officer he has held positions as a Trainmaster, Director of Train Operations, Assistant Superintendent, Assistant Superintendent of Dispatching, Director of Crew Management, and Director of Customer Service and Marketing. Adam started his railroad career as a conductor with the BNSF Railway in 1998. He has earned a Bachelor of Science in Business with a concentration in Marketing from the University of Phoenix. Adam also served in the United States Army and is an Iraqi Freedom Combat Veteran.